Rob Maday Landscape Architecture, Inc. Designing landscapes for our future. The underlying theme in all of our work is one of Pattern Shift. We push boundaries and interrupt expectations of landscape in a way that is meaningful, sensitive, and sustainable. Our award-winning work is uncompromisingly unique and aims to create thoughtful landscapes that will satisfy client desires and be a gift to future generations. 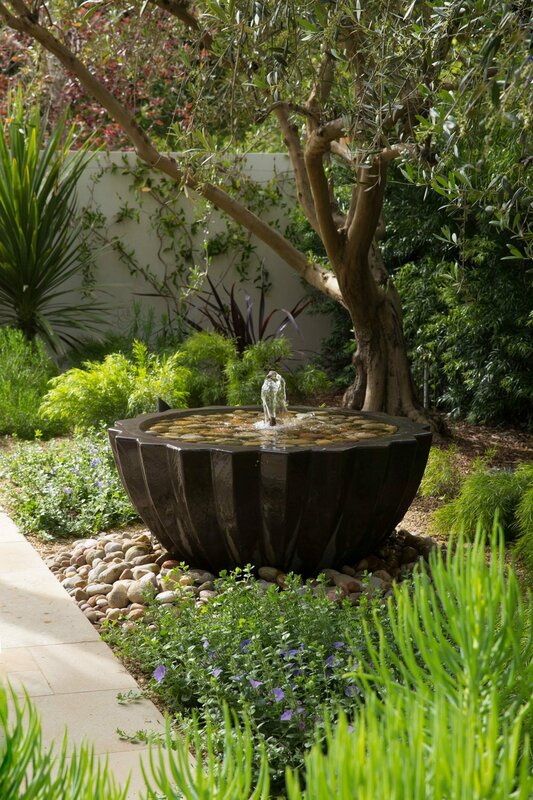 Spanning the length of the state, our residential gardens adapt to local conditions while maintaining a uniquely fresh and modern approach to garden design. The same attention to detail required for intimate residential gardens is employed on larger landscapes, too. See how we are growing gardens at schools, retail centers, bio-dynamic farms, creative office spaces, and more. Inspired by Spanish architecture and landscapes, the clients desired a bespoke garden that extends the living of their new home, provides for a variety of program elements, and gives their young children a place to roam and grow. RMLA worked closely with the clients, design team, and construction team to create a garden that celebrates California-inspired living. More Photos. In response to a need for high-quality office space in the LA basin, light industrial office spaces were thoughtfully re-imagined as creative office spaces. 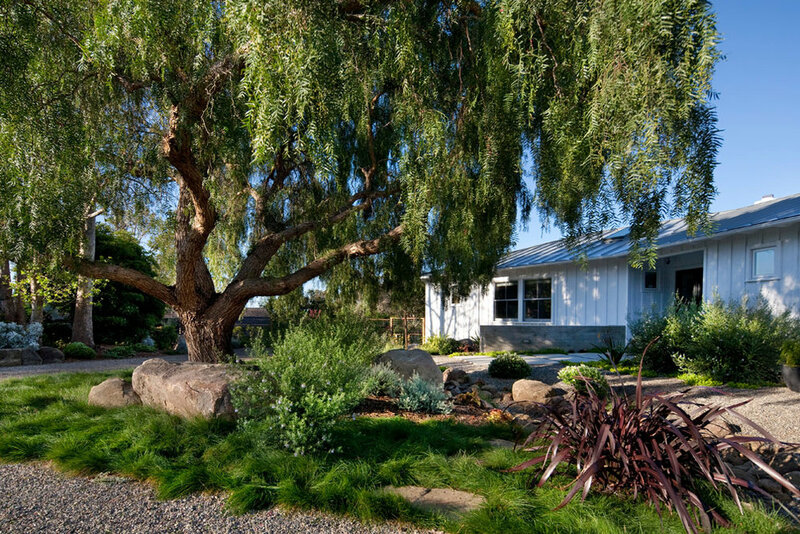 Thousands of square feet of asphalt were removed to make way for exterior gardens that identify the project with the site's historical ranch-roots. Overhead doors connect the interior with exterior light & outdoor common garden space for a variety of work functions such as meetings, lunch, independent or team work areas. More Photos. 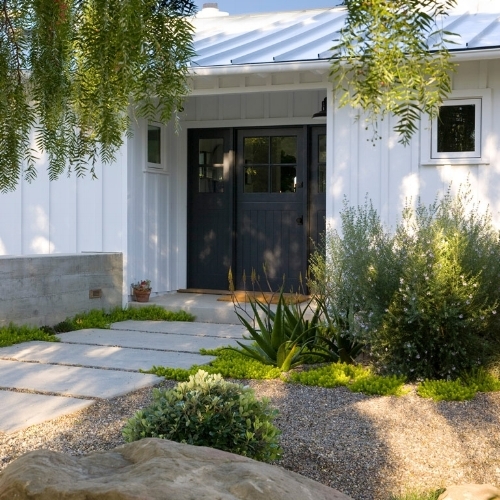 Set at the base of the Santa Barbara back country, a dated ranch style home underwent a full remodel and transformed into a modest farmhouse that lives large, both inside and out. The full landscape renovation created functional spaces, outdoor rooms, hidden treasures for children, all the while reinforcing the tasteful simplicity of the architecture and leaning on the borrowed landscape for context. More photos. 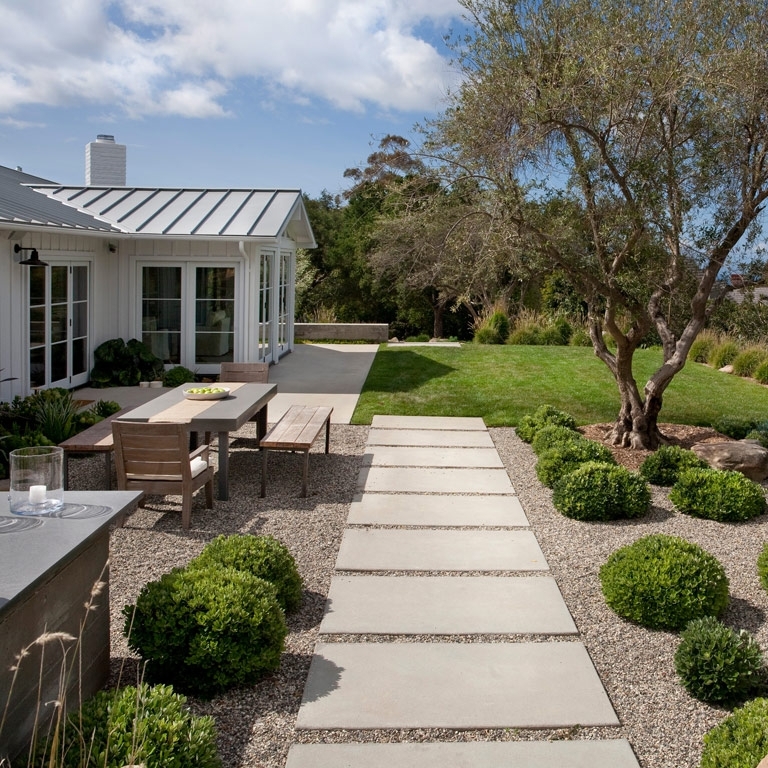 Situated on the Mesa in Santa Barbara, this home by David VanHoy provided an exciting canvas to layer landscape atop. The modern design and materials were juxtaposed with masses of natural grasses and other coastal plants. Permeable pavers, rain gardens, and planted swales slow, clean, and store storm water on-site and prevent run-off to the nearby Pacific. High-end detailing, including a prominently located outdoor bbq, help bridge the landscape and architecture in a cohesive way. More Photos. Many months after purchase of an over-grown and out-dated property, this diamond-in-the-rough revealed its true heritage with some historical digging. It came to light that the original architect was Lutah Riggs, an acclaimed architect with many notable works to her name. 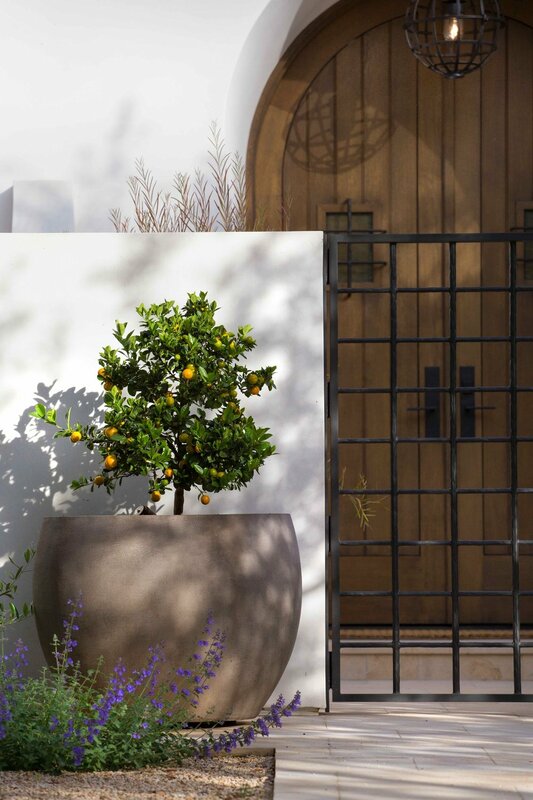 The landscape design process was greatly informed by original architectural forms and lines, and was modernized in a way that pays homage to the past while integrating contemporary approaches to water conservation, material selection, and current trends in outdoor living. The entire property was renovated including new pool, walls, fences, pathways, patios, planting, lighting, and irrigation. More Photos.